This product is expected to ship on Wednesday, April 24 if you place your order within the next -5 hours and 21 minutes. 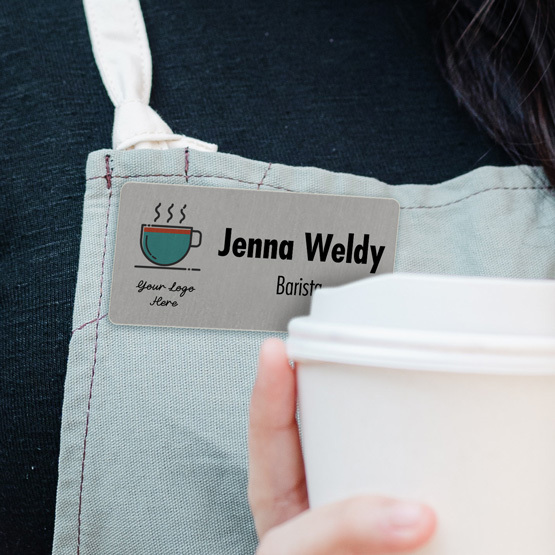 Ensure easy staff identification with these full-color aluminum name tags. Customizable with your company graphics and text, these tags undergo a sublimated printing process that hot presses ink into the surface for a high-quality, lasting design. 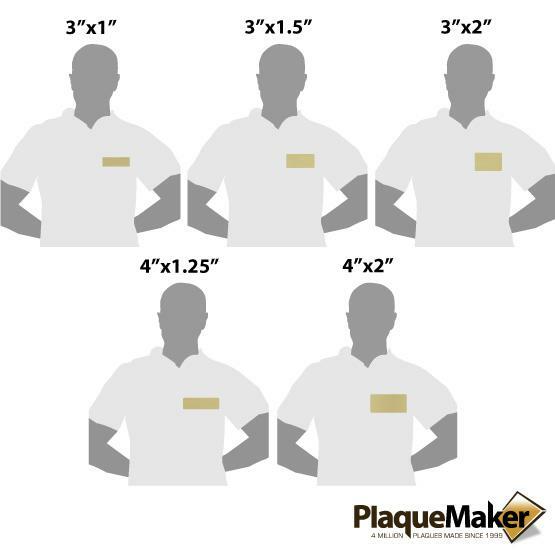 For further personalization, choose between numerous sizes and gold, silver and white base color options. The included bar pin or tape allow for easy attachment, or upgrade to a gator pin or magnetic fastener. Overall Size: Up to 4 x 2"
Brass Name Tags | up to 4"x2"
Laser Metal Name Tags | up to 4"x2"
Copper Name Tags | up to 4"x2"
Bronze Name Tags | up to 4"x2"
Bamboo Name Tags | up to 4"x2"
Amazing Quality, Great Products, and First-Class Customer Service! I had been looking for quite some time for customized labels/tags for my professional equipment cases. My equipment cases now look absolutely amazing! 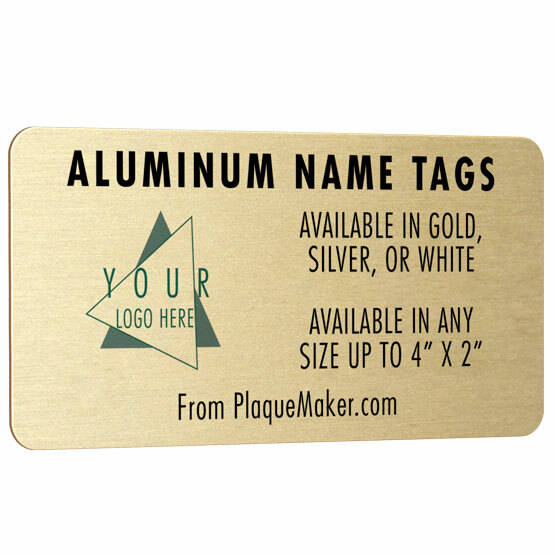 Plaquemaker.com is the BEST and ONLY place to buy custom made or customized tags, labels, or name plates of any kind! They are the highest quality products for the best prices too! I will be buying ALL of my custom made labels and tags from Plaquemaker.com each and every time I need something made! Thank you Plaquemaker.com! Good Quality - Decent Price. So easy to design and order! Came quickly and looks great! Thank you for your excellent service. Everyone I spoke to was very helpful and pleasant. <br>The thickness of the badges is a bit thinner than our previous order however I’m hopeful they will hold up just as well.